Discovering that you have a leak in your home is never pleasant. Especially when that leak is in your fireplace, an area of the home that you typically want to keep as dry as possible. What is causing your fireplace to leak? Most likely, fireplace leaks in your home are the result of a foundation problem. 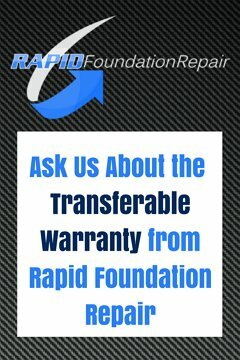 Fortunately, Rapid Foundation Repair has the experience it takes to fix all of the foundation problems in your home and keep them from coming back. 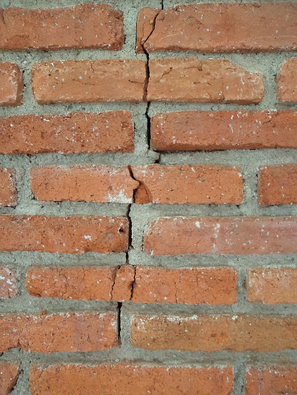 Chimney Brick Cracks: If there are cracks in the chimney bricks or mortar, it may be a result of the chimney leaning or settling due to an issue with the foundation beneath. Cracks in Chimney Crown: Cracks in the chimney crown can come from excess moisture, old age, or movement due to foundation settlement. Missing/Dislodged Flashing: While dislodged flashing might be caused by severe storms or high winds, it can also result from the chimney pulling away from the home after foundation settlement. Leaning or Tilting Chimney: Leaning chimneys are almost always the result of foundation settlement or sinking and can cause gaps to form between the siding and the chimney as the leaning chimney pulls away from the wall. These are all issues that can cause your fireplace to leak. Most of these problems are caused by the foundation that supports your chimney and the rest of your home sinking or settling. Rapid Foundation Repair has several solutions that can fix settling foundations and restore leaning chimneys to eliminate fireplace leaks. Since most fireplace leaks are caused by foundation settlement, the best solution is to lift and level the foundation. This can be done using different kinds of underpinning devices from Rapid Foundation Repair. One of these underpinning devices that we use is known as a steel pier. Steel piers are driven into the ground beneath the affected part of the foundation and used to lift the concrete. Once the pier is driven deep enough, it reaches layers of soil that are stable enough to support the weight of the foundation. If your foundation is suffering from deterioration due to water exposure, that can also cause the chimney to lean and tilt from a lack of support. This issue, which may cause fireplace leaks, can be fixed by making sure the home is waterproofed correctly. We can install surface drainage or exterior waterproofing to keep water from damaging your foundation and chimney. 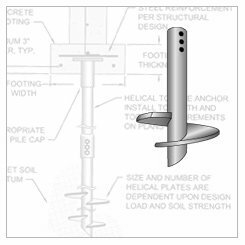 Helical piers are another underpinning solution that we offer. These piers work like steel piers, except they are not driven into the ground. Instead, they are screwed into the ground. This process gives them a bit of extra stability to keep the foundation from moving or sinking again. Both our steel push piers and our helical piers come from ECP (Earth Contact Products), the leading manufacturer of foundation repair products. Call the expert foundation repair team at Rapid Foundation Repair today to take care of all of the fireplace leaks in your home.